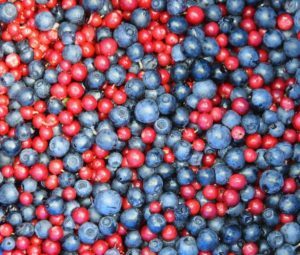 A handful of dark-coloured berries may lower the risk of tooth decay, a new study shows. 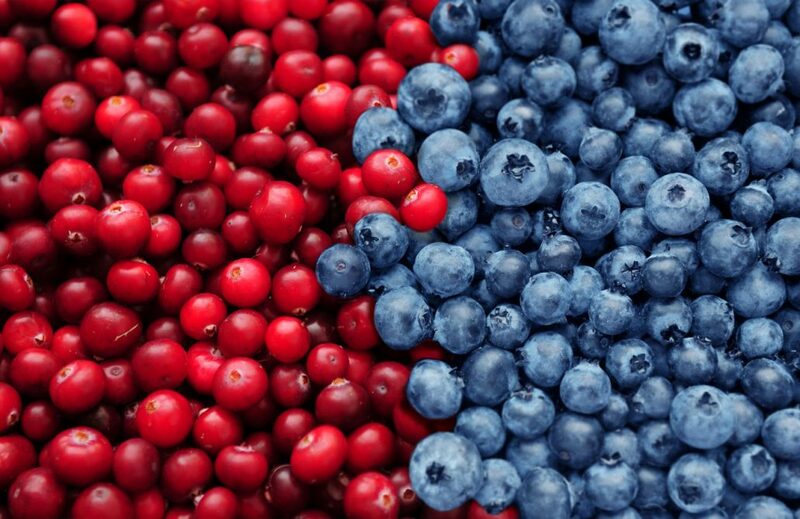 Scientists have found that nutrients in cranberries and blueberries can be highly effective in protecting the teeth against a strand of bacteria responsible for acceleratingtooth decay. These natural compounds, known as polyphenols, help fend off harmful bacteria in the mouth. The study supports previous research by suggesting these are good for oral health by preventing ‘bad bacteria’ from sticking to the teeth and gums. Chief Executive of the Oral Health Foundation, Dr Nigel Carter OBE, believes polyphenols could eventually lead to new oral care products. Dr Carter says: “The nutrients and fibre in fruit are vital for our health and wellbeing. They help protect us against heart disease and cancer, as well as a range of other diseases. “Cranberries seem especially good for our oral health, as their polyphenols stick around in our saliva and will continue to help our mouth, even after we’ve swallowed them. “What is especially exciting is that these natural extracts are completely sugar-free. This means they can be added to oral care products in several ways. “They can dissolve in water so can be used to create healthy drinks, as well as to reformulate unhealthy drinks packed full of sugar. Dark-coloured berries are among the best dietary source of antioxidants. They provide a good supply of water and fibre, as well as other nutrients. 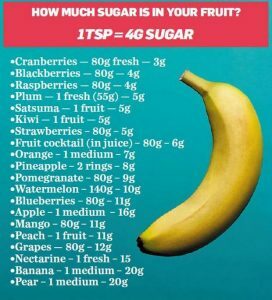 However, along with other fruit, they may also contain high amounts of natural sugar. The recommended daily allowance of sugar for an adult is 90 grams or 22.5 teaspoons per day. This includes 60 grams of natural sugar and 30 grams of added sugar. One portion of cranberries contains up to four grams of natural sugar (equivalent to one teaspoon) while a serving of blueberries is nearly ten grams. Dr Carter adds: “It is important to remember that whole fruit contains natural sugars. This means it can still cause a risk to teeth when consumed in high amounts and too often. https://absolute-dental.co.uk/wp-content/uploads/2019/01/blue-cran-mix_2.jpg 843 1300 Absolute Admin https://absolute-dental.co.uk/wp-content/uploads/2016/11/absolute-logo-NEW1.png Absolute Admin2019-01-15 11:49:362019-01-15 11:49:36A handful of dark-coloured berries may lower the risk of tooth decay, a new study shows.